Years ago, I read almost nothing but mysteries. They were my favorite genre. I can vaguely remember reading a few of Martha Grimes’s novels, the ones with the names of old pubs in the title: The Man With a Load of Mischief; The Old Fox Deceiv’d. But they didn’t grab my attention in any really serious way, and then I stopped reading so many mysteries. I haven’t read anything by Martha Grimes in easily twenty years. Recently, though, my husband picked up a few random books for me at the used bookstore, and Martha Grimes’s The Train Now Departing was among them. I thought, why not? It’s two novellas, and it’s a departure from her usual content and style, because they are not mysteries at all. The novellas are similar in tone and theme, dealing with lonely women and their relationships with slightly unpleasant men. The first novella, “The Train Now Departing,” is about a middle-aged woman who is friends — actually, “friends” might be too strong a word — with a travel writer. They have regular lunches together, during which the focus is the food, and no personal details are ever shared. The woman longs to know details about the writer’s adventurous journeys, which she feels she could never undertake, but the writer is contemptuous of her ignorance and curiosity. The woman is increasingly isolated, from pleasure as well as from human connection, and when tragedy strikes, she is unable to make any real sense of it. The second novella, “When the Mousetrap Closes,” is about a middle-aged woman (again) who meets a famous stage actor at a tea-house she frequents. He is friendly when she stammers out a greeting, and they begin a relationship of sorts, meeting for tea each week. The actor is in a new play by a famous director, but the play is a dead secret, and the actor himself claims that he doesn’t know the ending to the play, and is being fed his lines day by day; the woman is skeptical, but is willing to waive her common sense to continue the relationship. In the end, though, the actor abandons her, and when she goes to the theatre to see his play, she receives a nasty shock. I have to say that I was disappointed by both these stories. Neither of the women at their hearts seemed to have any inner life at all. Both thought of themselves as weak, and they were weak, and in fact rather dull. The first novella was repetitive and grim, with all the chilly meals at different restaurants; it seemed like a bad dream you can’t get out of, and I couldn’t see the point of it. Both engaged in heavy-handed imagery (food and needlepoint, respectively) that left the reader in no doubt as to the main thrust of the piece. And perhaps the strangest thing of all was that I would have sworn that the stories took place in, say, 1930s Britain (when single ladies dining alone were mildly scandalous, when an inheritance was necessary for a single woman to live comfortably, when railroad cafés were common, etc. ), but then some intrusive detail would show me that the story was supposed to be taking place in modern America! It was really jarring to read about cell phones, microwaves, and so forth in a story where every attitude screamed of two generations earlier. Has that ever happened to you? This may be the first time for me. So, you can’t win them all. But at least it sharpened my appetite for a real mystery… review coming up! 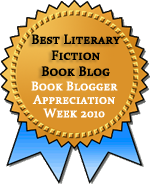 I loved this post, especially your discussion about the Martha Grimes’ novellas. I tried to read a Martha Grimes mystery recently, Jerusalem Inn, which is set during the Christmas holiday period. I’m wondering if you know it. Unfortunately, I found it dreadful, and am wondering if I stumbled onto a book that’s not her best, and if I should try her again. Mysteries are my favorite genre and I read them voraciously, but I’ve never been able to get into Martha Grimes. I’ve read a couple of her books, but they seemed very obvious, with a lot of “tell” rather than “show.” Based on your review, it seems as if there’s an unpleasant vein of mysogyny running through some of her work too. I don’t think Grimes is a writer to whom I will be returning. Great observation about the tell vs. show, Deb. And I think misogyny is the right term, actually. She doesn’t seem to think much of her own women characters. Oh, well. Plenty of other authors in the sea! Oh, I agree entirely. No point in being too timid!